Walking into the room that is occupied by the Deryn Park Collection immediately displays your love of the traditional aesthetic. Stately from every angle, sophisticated design elements blend to create this beautiful collection. The collection allows you the flexibility to fit the scale of your room and the design to accommodate your personal style. Design elements include burl inlay, traditional bale and knob hardware, claw feet and shell motifs. The cherry finish is highlighted by gold tipping that accentuates the traditional feel of elegant Deryn Park Collection. 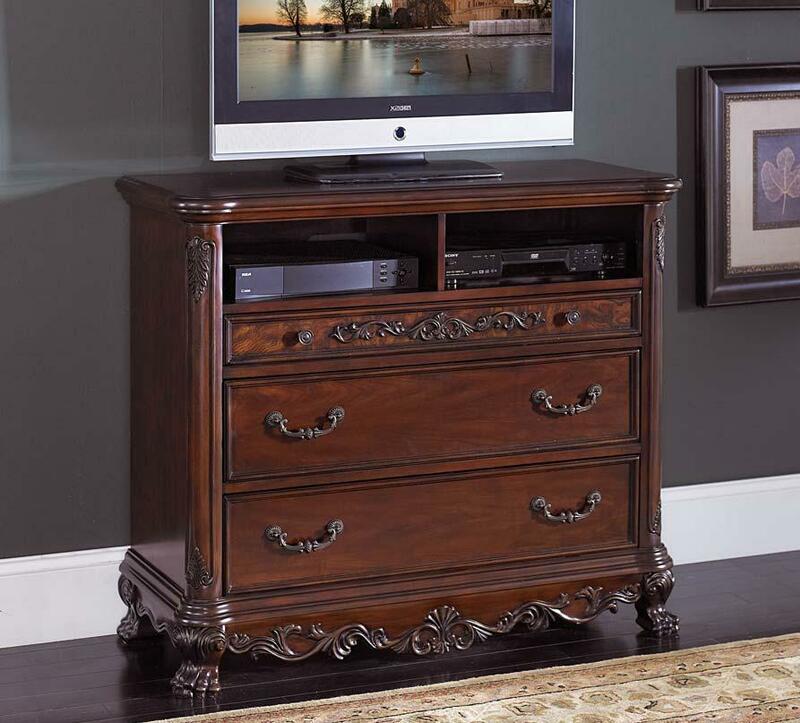 FEATURES: Cherry Finish ~ Traditional Style ~ Open Media Space ~ Burl Inlay ~ Gold Tipping / Shell Motif Accents ~ Bale & Knob Hardware ~ Claw Feet ~ Dovetailed Drawers ~ Ball Bearing Side Glide.